WHO reported provisional data indicated a "a clear trend", with all regions of the world seeing outbreaks. Many countries are in the midst of sizeable measles outbreaks, with all regions of the world experiencing sustained rises in cases. Current outbreaks include the Democratic Republic of the Congo, Ethiopia, Georgia, Kazakhstan, Kyrgyzstan, Madagascar, Myanmar, Philippines, Sudan, Thailand and Ukraine, causing many deaths – mostly among young children. 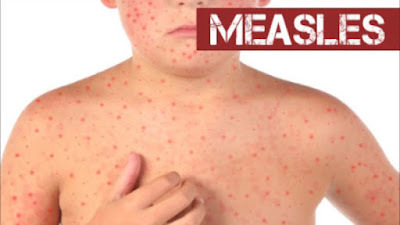 Measles is one of the world’s most contagious diseases, with the potential to be extremely severe. In 2017, the most recent year for which estimates are available, it caused close to 110 000 deaths. Even in high-income countries, complications result in hospitalization in up to a quarter of cases, and can lead to lifelong disability, from brain damage and blindness to hearing loss.